Abba remains one of the most iconic and influential pop groups of all time, having produced an archive of memorable hits that are still celebrated the world today. Hailing from Stockholm, Sweden and comprising members Agnetha Fältskog, Björn Ulvaeus, Benny Andersson, Anni-Frid "Frida" Lyngstad, these four superstars spent a decade wowing the world between 1972 and 1982. Abba will go down in pop history as one of the most universally loved and celebrated acts of all time. So, here we present you the top 10 Abba songs. These 10 great Abba songs are ordered by release year. Enjoy! Perhaps the very first song that comes to mind when most think about Abba, “Waterloo” is every bit as fresh today as if it was recorded yesterday. This is the track that propelled Abba to fame when it won the 1974 Eurovision Song Contest and summarily topped the charts all over the world. Not only had the song been loved by people all over the world, but “SOS” was also the song singled out by the likes of John Lennon and all manner of music icons as one of Abba’s best ever. It has a somewhat darker element to the music and yet remains an all-time dance floor classic. The second NO.1 of all Abba songs and the one that some insist saved the band, “Mamma Mia” is a seriously iconic title that’s of course now graced West End Theatres and the Big Screens of Hollywood. A phenomenal success story like nothing we’ve seen or heard to date. It’s a little known fact, but “Fernando” was actually supposed to be a solo single for just one of the members of Abba, but it ended up so successful that they released it as a group effort. It topped the charts in Australia for 14 weeks and still sells by the boatload today. This is one of Abba songs that is still enjoyed by people around the whole world. Released almost 40 years ago, “Dancing Queen” is every bit the pop masterpiece. Not only did it top the charts all over the world, but Queen Elizabeth even once admitted that whenever this song is played at royal functions, she cannot help but have a dance. Quite the seal of approval. What’s most interesting about “Knowing Me, Knowing You” is the way in which the tune as a whole is so upbeat, despite the fact that the song is all about the fraying relationships between the band’s members. Things were going very wrong, but they still put out a global superhit. One of the catchiest intros ever put down on vinyl and with a wonderfully upbeat tune throughout, “Take a Chance on Me” has to date sold millions of copies the world over and is still a staple at parties, discos and weddings all over the place. A slightly slower tune from the Swedish super group, it’s almost unthinkable but “I Have a Dream” did not in fact make it into the charts in the US. The folks in the UK, however, took much more kindly to it and drove the song to No.2. It was later covered by Irish boy band Westlife. 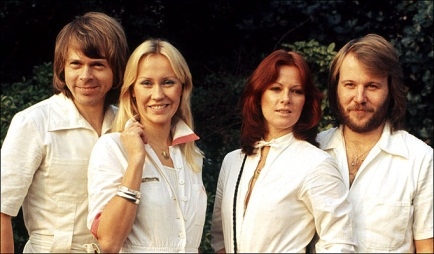 Another song that climbed the charts all over the world, “The Winner Takes it All” didn’t quite have the same success as Dancing Queen but was nonetheless voted as the UK’s all-time favorite Abba song. It’s graced more movies and TV show soundtracks than it’s possible to recount. The final hit single written by Abba is really as sad as it gets. Penned at the time of the couples’ divorces and telling a tale of tragedy, it didn’t do quite so well as prior upbeat tunes but was still a great success in the UK. Server responsed at: 04/26/2019 3:50 a.m.